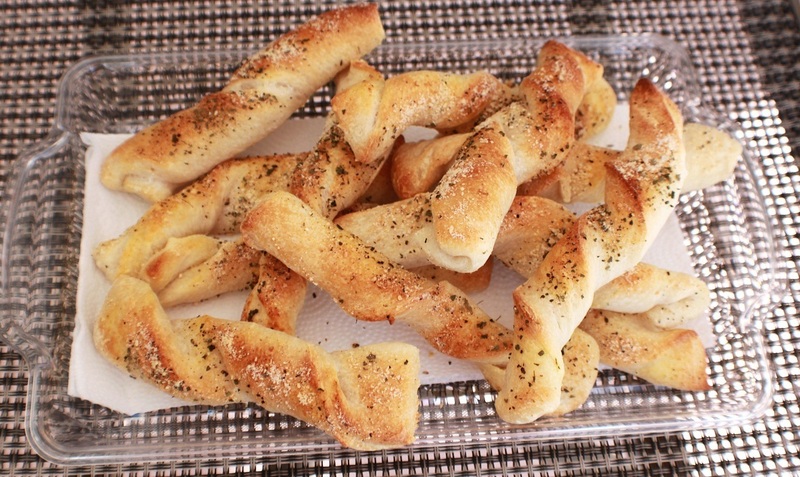 You can never go wrong making breadsticks. The herbs and cheese bring a perfect balance to any dinner table and if you really want to get creative, serve them with your favorite marinara or alfredo sauce to dip them in. After making the dough, take small pieces of dough, roll into ropes in 6 inches in length. Twist them and lay on a piece of parchment paper. Brush with olive oil. Sprinkle with oregano, garlic powder, black pepper, salt, a pinch of cayenne pepper. Bake at 400-degree hot oven until light brown. Home Marinara Sauce the best! My kids would go WILD if I made these, thank you!